The wonderful chaps that are the William De Warenne Masonic Lodge came to visit us at the East Sussex Children’s Respite Centre on Tuesday with the great news that their Lodge were donating a truly incredible, £1,000! The William de Warenne Lodge No.6139 was constituted in 1945 under charter from The United Grand Lodge of England. Our Logo is shown left and depicts the colours of William de Warenne, a Knight at the Court of William the Conqueror. 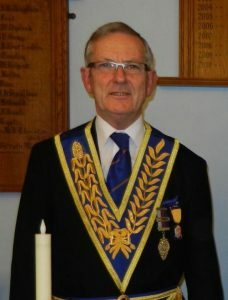 For a detailed history of their Lodge name please click here. The Craft Lodge meets every 2nd Wednesday in February, March, April, October, November and December, at 18:00. The Installation meeting is held in October at 17:30. We cannot thank them enough for this truly wonderful donation. 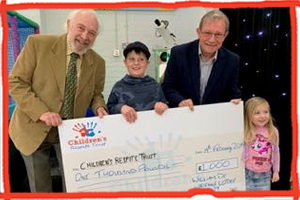 This amount of money will go a long way for the Trust, and will put to very good use in providing our day care services in the East Sussex Children’s Respite Centre. This amount will pay for a whole weeks worth of respite care for up to 8 children! So you can see how valuable donations such as this is to the Trust.